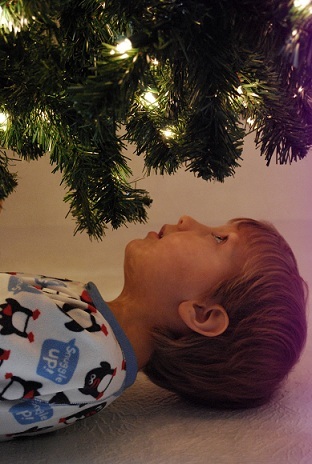 This week we asked: What do your holiday traditions look like? 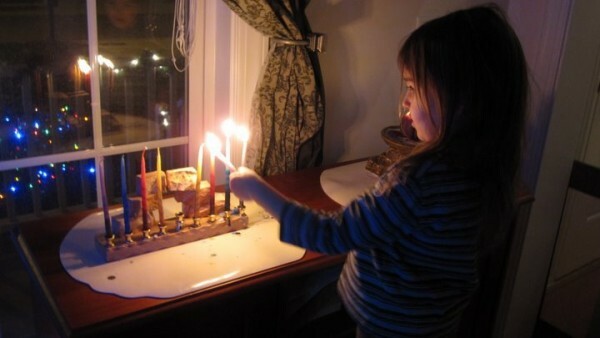 Alicia’s oldest daughter lit the Channukah candles by herself last year. 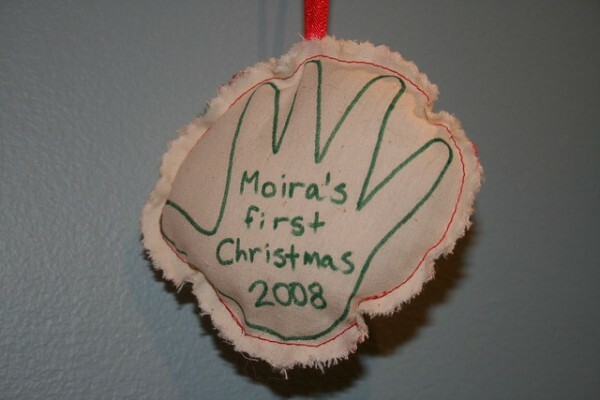 From Shannon at Pineapples & Artichokes: Every year Moira makes an ornament for the grandparents, (and one for Mommy and Daddy) with a little bit of adult help. 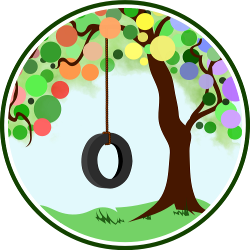 Melissa blogs at White Noise and Mothers Of Change. 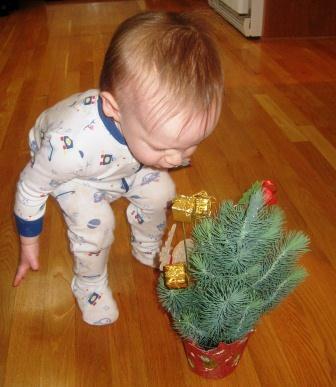 From Lauren: Mikko picked out his own live tree for his first Christmas at six months. It’s grown with him — here they are last year, at 3 and a half years old. Every year we put on holiday music and decorate the tree as a family shortly after Thanksgiving. We especially love our handmade ornaments from family and friends – we participate in an annual handmade ornament exchange. 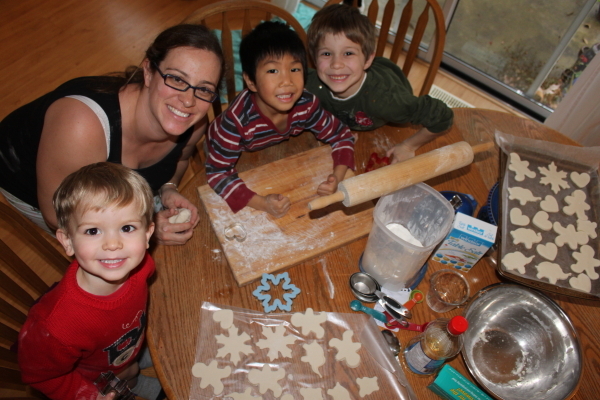 Tell us: What do holiday traditions look like in your family? It’s so interesting to see what everyone does! I love the Festivus celebration. I was remembering that our family used to do Secret Santa — maybe we should start that up again. It was fun to find little surprises here and there! Aww! I especially love the mini real trees! Can you really keep them in pots for several years?? We are just starting our Christmas traditions. 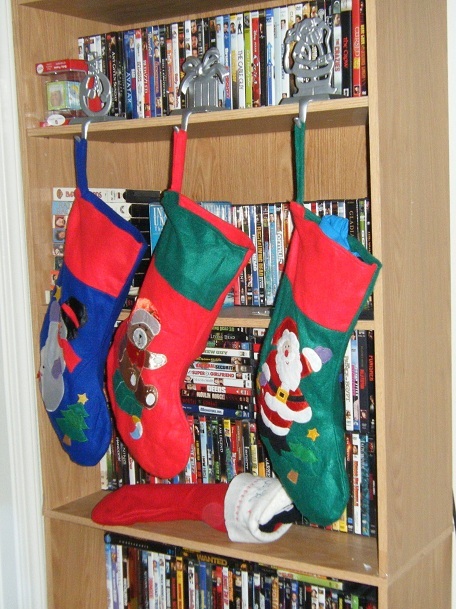 I was never really into the holiday before, but it’s much more fun after having kids! 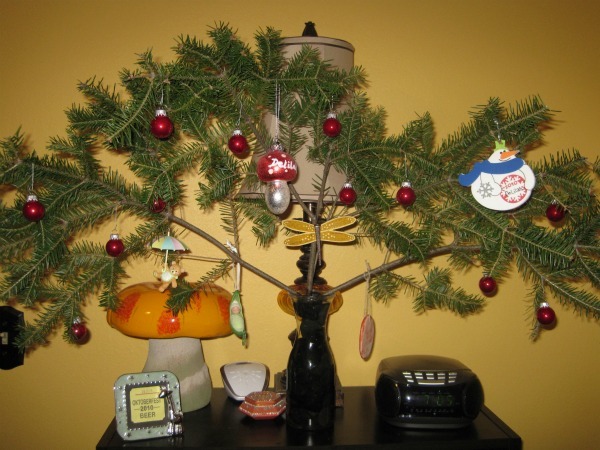 Joella – I love the trimmed branch in the little one’s room, what a fun idea!! What fun and beautiful traditions! P.S. Mikko had the most amazing rolls I have ever seen! I’ve tried putting that diaper cover on Alrik — not even close to fitting him yet, lol. Oh my….what fun traditions everyone has. Now I have even more ideas for next year. Great WW! I love all the variety in the ways people celebrate Winter holidays! Thank you everyone for sharing!! I know it! It’s funny to have a new one that age. We’re like, “Oh, so that’s what normal babies look like!” Hee hee.